Sidley United climbed two places and produced possibly the best performance of the season in beating Hassocks 4 - 1. Bright and lively from the start, Sidley took the game to Hassocks, playing at a high tempo and opening the scoring in the 11th minute when Kenny Pogue played the ball over the top for Greg Berry to lob the Hassocks goalkeeper sweetly. A rare break down the left wing for Hassocks brought a smart save from Greg Nessling, whose kicking was excellent all game. A problem for Kevin Rose's ankle saw Jack Cooper come on to replace him, and he soon settled in, showing confidence and composure in defence. Playing some neat, one-touch passes, Sidley added a second goal on 30 minutes as Dean Boyd's first time shot found the back of the net after some good work by Chris Agutter. Despite the one-way traffic however, Hassocks got themselves back on the score sheet in the 39th minute. Frustratingly, the goal came from a Sidley free kick, which broke kindly for the visitors and, with Sidley's defence caught too square, Nathan Miles ran through to shoot past Greg Nessling, who might have been better to stay on his line. Sidley started the second half as they had the first, pressing the ball and never letting Hassocks, who are generally regarded as being one of the best footballing sides in the Division, time or space to get their game going. The pressure told, as Matt Darby scored Sidley's third goal on 64 minutes. Totally in charge now, the 2 goal cushion allowed Sidley to replace Greg Berry with Ben Barton. Kenny Pogue cracked a fierce drive against the bar as Sidley continued to boss the game. 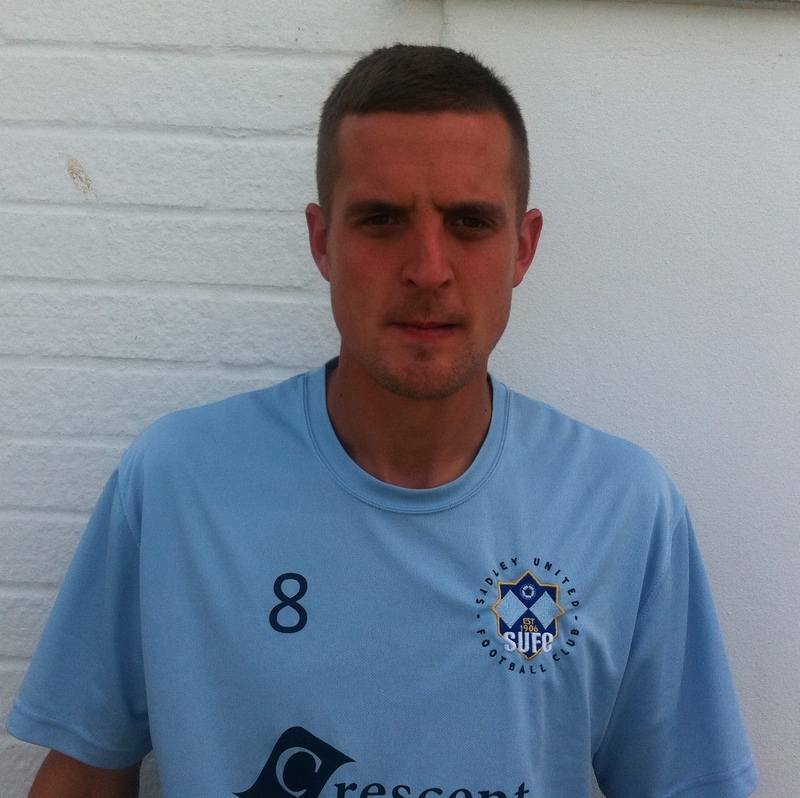 And it was Pogue who got the goal he deserved in the 81st minute finishing off another nice passage of play. A final score of Sidley 4 - 1 Hassocks was well deserved as the final whistle blew. A terrific performance from the Blues, with every player contributing to a splendid result. Kenny Pogue made a big difference up front, but it would be unfair to single any one player out as they all deserve high praise for the work-rate and quality they showed today. Nessling, Willett, Rea, Rose (Cooper), Cruikshank, Agutter, Boyd (Packer), Darby, Pogue, Berry (Barton), Martin.